The rise of social media, with YouTube as a forerunner, has increased opportunities for cross-departmental collaboration and leveled the playing field for interacting with your customers on a regular basis. By leveraging your organization’s unique capabilities, you can expand your reach to generate added business value. YouTube provides much more than just music videos and humorous cat fails. Due to its vast reach, YouTube attracts marketers globally, both large and small. According to BrandChannel, the Top One Hundred Global brands hold 40 billion views across their collective channels, and increased their YouTube ad spending by 40% in 2015. Prominent brands like Apple, IBM, and Coca-Cola especially saw YouTube’s value and increased their spending by 60%. To advertise on YouTube’s homepage, marketers pay about $400,000. While this number may seem large, advertisers justify the cost since that ad exposure results in tens of thousands of potential new customers daily. But aside from corporate giants, most marketing budgets don’t allow for such expensive advertisement. 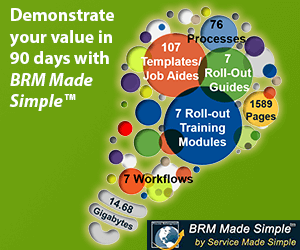 So, what are the more cost-effective solutions for your organization? We have already touched on a few options, and the list below provides a deeper look into YouTube marketing. This traditional route allows you to spend money on ads directed at your target audience. 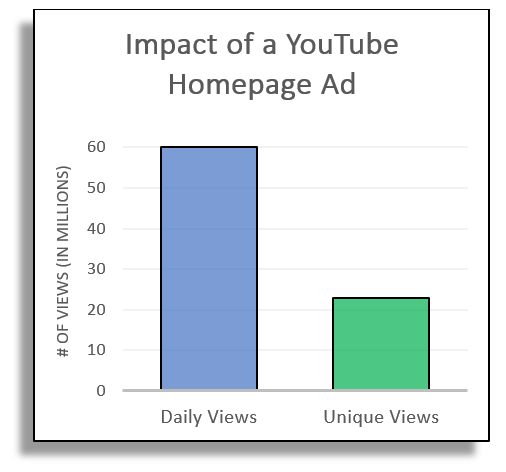 YouTube boasts affordability with its pay-per-click platform, only charging when a user shows interest in the ad. Moreover, advertisers can set their own daily limit so as not to exceed their budget. While this option may be more cost-intensive, it requires little time investment. Thus, to further extend your potential audience, this option works best in combination with one of the other options. YouTubers are social media marketers who have cultivated strong relationships with their followers through their video channels. Often, those subscribed to a particular YouTuber become self-segmented based on their mutual interest in that channel. Therefore, sponsoring a YouTuber provides brands with easy access to an identifiable audience that will prove more receptive to your company’s offerings. 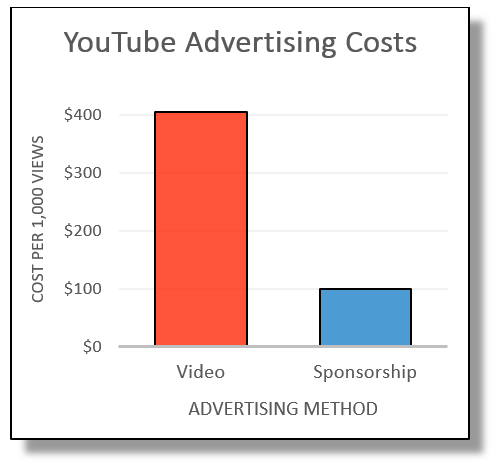 This option offers enhanced cost effectiveness when compared to traditional YouTube ad spending. To acquire customers, marketers spend less than normal video ads by utilizing sponsorship. However, the trade-off comes in increased time and effort with the sponsorship strategy. Brands dedicate much more time to identifying the ideal ambassador, developing content with that YouTuber, and maintaining an ongoing relationship. The last option allows your organization to get creative with marketing. By starting your own YouTube channel, you grant yourself free reign to connect with YouTube users however you prefer. Brands release videos weekly, monthly, or even randomly; this flexibility allows your organization to generate content at its own pace. Some brands utilize sponsorship to demonstrate their products while others use it as an opportunity to create brand awareness. BMW, for example, hosts a channel with 635,000 car-loving subscribers where each video averages 85,000 views. The videos showcase the latest technology in their cars, while also providing historical information in an entertaining fashion. Starting a channel requires low monetary investment but managing the channel can be a full-time job. However, given enough time and a plethora of online resources and support, most organizations should benefit from starting a YouTube channel. YouTube is one of the most powerful social media marketing tools in existence. The unique harmony it strikes between users and advertisers promotes a thriving community that leaves all parties content with this advertising platform. If you found interest in any of these advertising methods, you might also enjoy our article highlighting the advertising power of podcasts.